"This is the confidence which we have before Him, that, if we ask anything according to His will, He hears us. And if we know that He hears us in whatever we ask, we know that we have the requests which we have asked from Him" (1 John 5:14-15). The women above are students in Guayaquil seminary extension who came up during the class break one afternoon and said, "Bro. Wil can we discuss with you a vision we have to start a new ministry to reach Quichua women and youth in Guayaquil?" These women are members of the church where we teach the Peniel Theological Seminary courses in the Guayaquil Extension. They were part of a class on Biblical theology that I was teaching. No, they are not pastors, nor do they have intentions of becoming pastors. 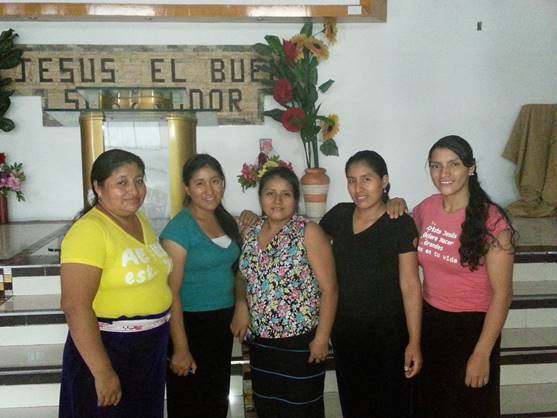 Their goal is to provide leadership for women's ministries in the port city of Guayaquil. Peniel began five years ago with 13 students in the home of Alberto Copa. God has blessed these small beginnings, and now we have over 170 students studying God's Word. Please pray for a piece of property to begin construction of a building for classrooms. 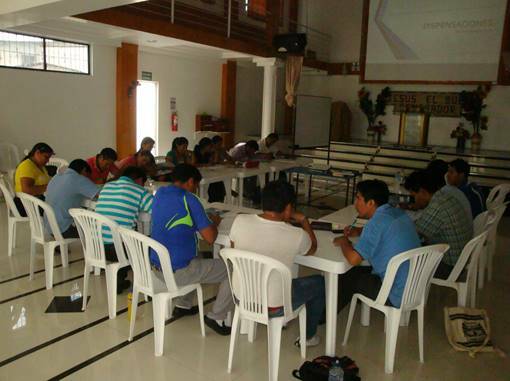 Peniel Theological Students in Guayaquil, Ecuador studying Biblical theology. 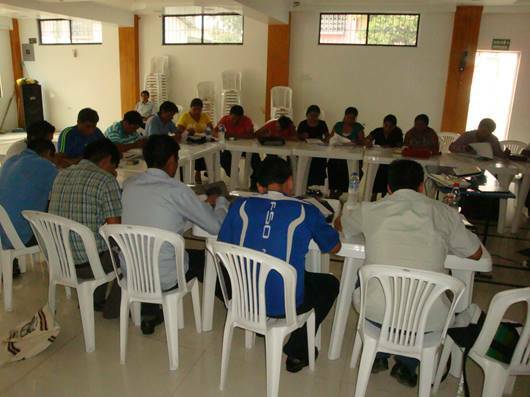 Peniel Theological Seminary students taking final exam for course on Biblical theology. During the past two years I have been teaching courses on the doctrine of "Salvation, "Christian Ethics," "Discipleship," "Biblical Theology," and the "Cults." During 2015 I will teach six courses including the "Historical Books of the Old Testament," "Poetic Books in the Old Testament," "Matthew through Acts," and "Romans through Philemon." These courses will be taught in the Quito, Pallatanga, and Guayaquil extensions. 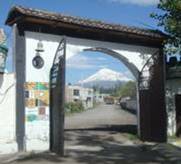 I also speak during the chapel at the Riobamba campus on Saturdays on each trip. As the International Coordinator for Peniel Theological Seminary I will also be in charge of the 5th Annual Pastor Leadership Conference in Riobamba in July. Each year we bring in outstanding speakers from the U. S. along with Ecuadorians. Over 400 pastors and leaders from every region of Ecuador come to enjoy the exposition of the Word of God, and go out renewed to serve our Lord. 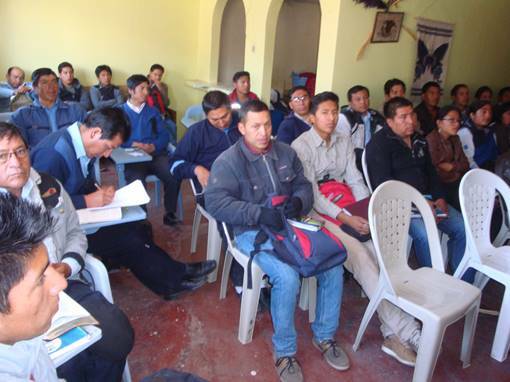 Some of the Saturday students at Peniel Theological Seminary in Riobamba, Ecuador. Typically I teach a 40 hour course the first week, and then the second week I present evangelism workshops or teach Bible doctrine studies in local churches where students pastor. 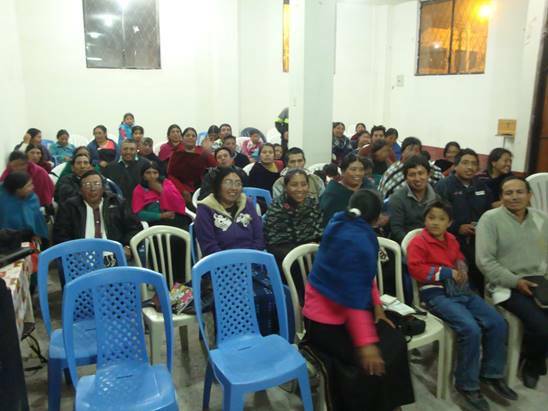 At the national Quichua pastor's conference in Otavalo I gave eight presentations on how to maintain sound doctrine in the local church. Church leaders have asked me to repeat these presentations in local churches. I recently spent a week working with a church that was being disciplined by the association because of doctrinal errors. There was an excellent spirit and attitudes on the part of the congregation wanting to grow doctrinally and Christ-like. At the end of the week they asked me to return and spend more time on Key Word Bible Doctrines. 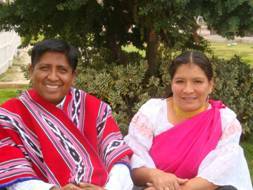 Please be in prayer for these Quichua churches as they meet the demands of a changing culture. The vast majority of Quichuas now speak Spanish and their native language is no longer being used by the younger generation. Spanish is the language used in commerce and education. Most of the Quichua churches use Quichua songs and Spanish in their services. My classes and sermons are in Spanish because my listeners are also Spanish speaking. Please pray, there are many villages without Christ.